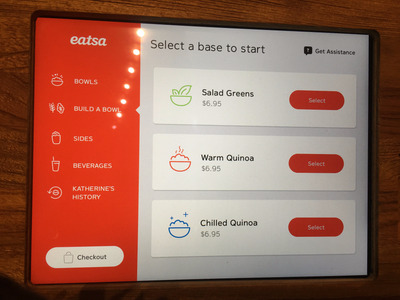 Eatsa, which opened its first location in San Francisco in 2015, functions essentially like a vending machine or a high-tech automat that spits out freshly-prepared bowls of quinoa. There are real people behind the scenes preparing the food, but instead of cashiers there are kiosks. Eatsa has expanded from a single location in San Francisco to five restaurants in California, New York, and Washington, DC. 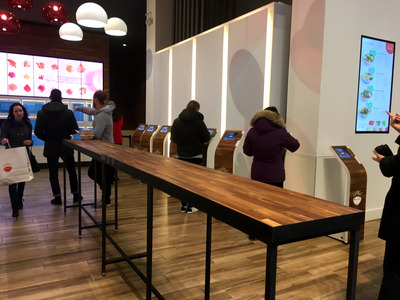 After its first location in New York opened in December, we were eager to see for ourselves what it’s like to eat at a restaurant with no employees in sight. 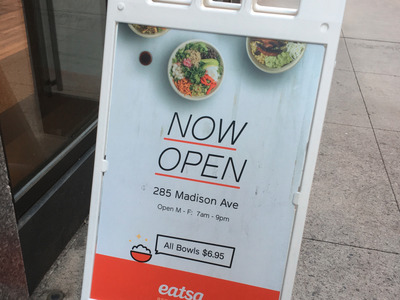 Outside Eatsa, which is located in Midtown Manhattan, a sign advertises one of the restaurant's major attractions -- it's affordable price. 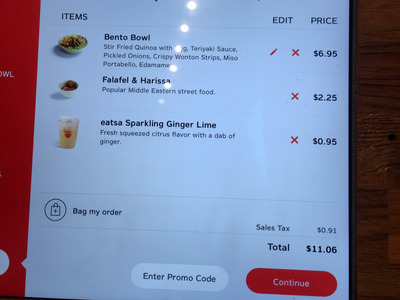 Almost everything costs just $6.95. 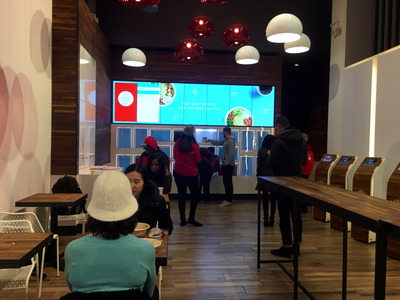 Inside, customers are immediately faced with a nontraditional set up. 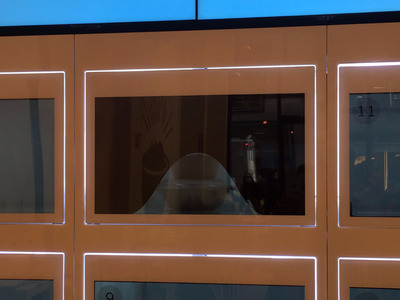 Instead of flocking to a single place to order and pay, about a dozen kiosks are set up along the side of the store. It almost resembles an Apple store with its long, sleek tables and minimalist style. 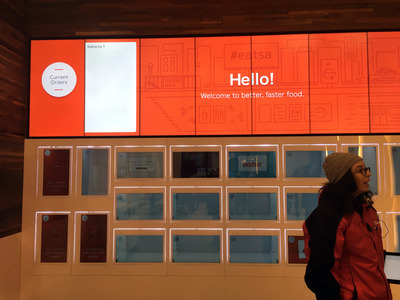 While there were a handful of employees milling around the location to assist customers unfamiliar with the concept, the kiosk was pretty well-equipped to take me step-by-step through the process. 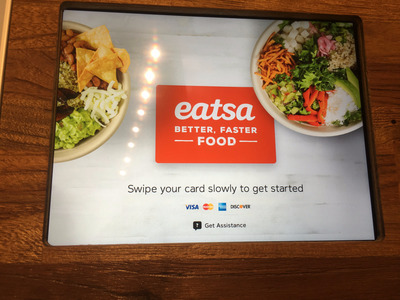 Note: you can't pay with cash at Eatsa. 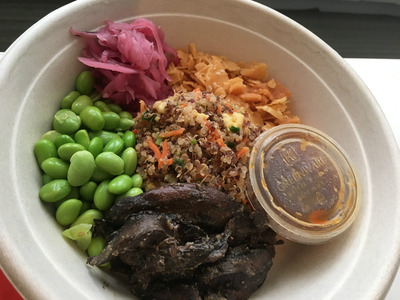 If you're building your own bowl, you basically pick from greens or some type of quinoa. 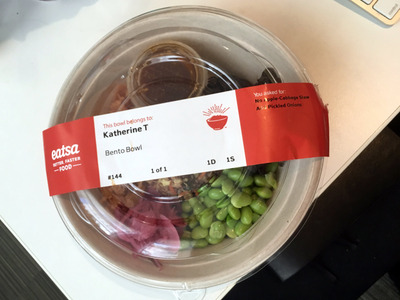 Warning: if you don't like quinoa, you're not going to like Eatsa. In addition to bowls, you can pick from sides including fresh fruit, chips and guacamole, and falafel. 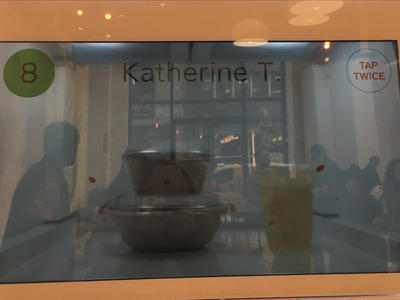 Checking out, I was impressed by the price: $11.06 for a bowl, a side, and a drink. Then, it's time to wait. 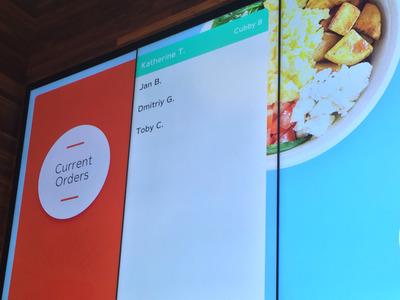 My order was the only one being prepared at the time time -- as seen by the list above the pickup area. About three minutes later, my name turned green. Time for pickup at cubby 8. 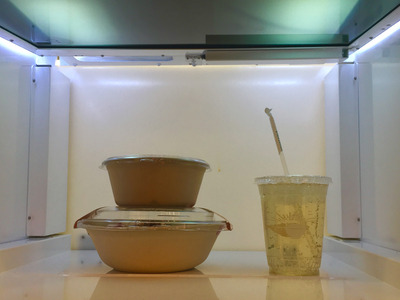 My cubby had gone dark right before my meal was ready for pickup, presumably to allow the behind-the-scenes employees to place my quinoa in the box. Through the glass, I could see my food. I double tapped the screen, and my meal was revealed. Yep, that's my order -- complete with my name on the packaging. 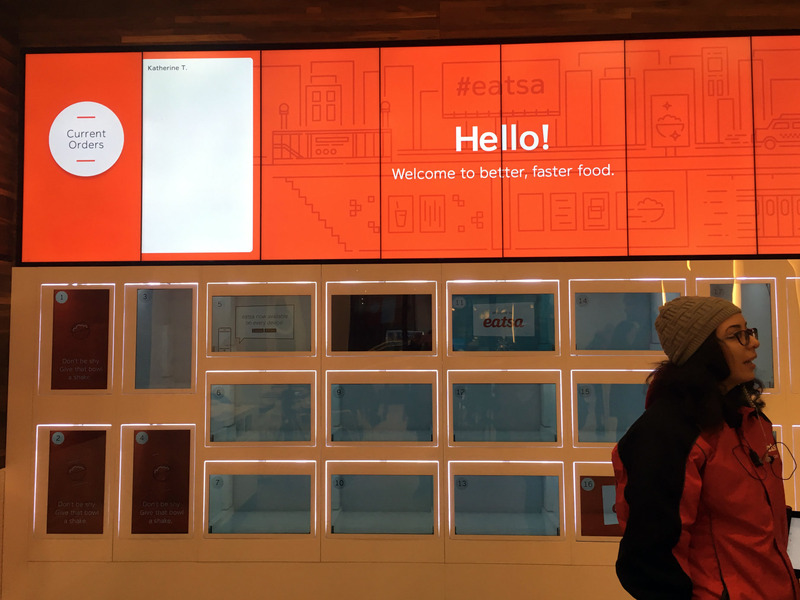 Now, comes the most important question: how does Eatsa actually taste? The sparkling ginger lime beverage was a surprising highlight, with the flavour of a slightly toned down ginger ale and only 35 calories. 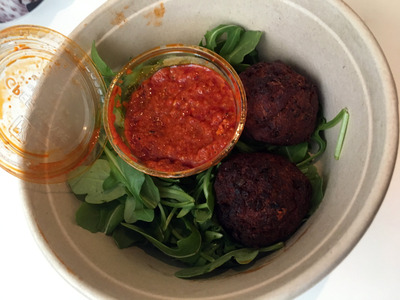 The falafel tasted pretty similar to what you'd get any cart in New York City, just colder, heartier, and probably better for you. 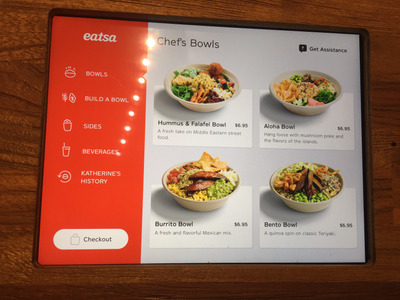 Unfortunately, where Eatsa falls short is its crown jewel: the bowl. 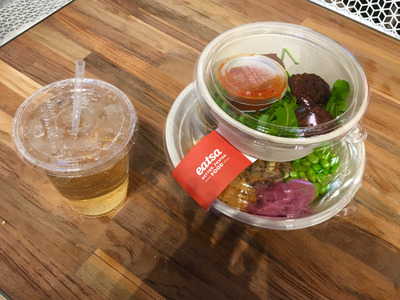 My bento bowl highlighted the importance of restaurant workers and chefs in the creation of a meal. While every ingredient was independently tasty (except the overpowering and squishy portobello), they failed to form a cohesive whole. 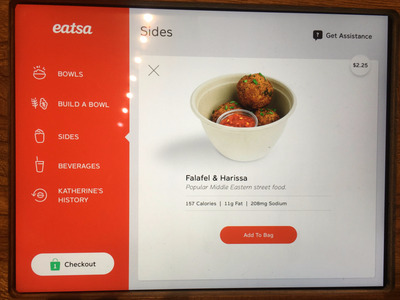 Eatsa has a great design to speed up ordering and help uber-introverted customers avoid any human to human interaction. But if the chain wants to succeed, it needs to ensure that behind-the-scenes meal prep results in dishes that people will actually want to come back to eat.